A national campaign to raise awareness of a significant but largely hidden health challenge was launched in Newcastle today. The Legs Matter campaign is designed to get the nation thinking and talking about, and taking action on leg and foot conditions, including non-healing wounds, varicose veins and oedema. It comes as research shows that the annual cost to the NHS of managing non-healing wounds is estimated to be up to £5.4 billion. Leg and foot conditions have also been shown to lead to loneliness and depression if people do not get the correct care. Despite this, conditions of the leg and foot do not currently receive the care or attention they urgently need. The campaign (which features real people living with leg and foot conditions) and sets out to change that. The campaign is led by a coalition of eight healthcare organisations including The Tissue Viability Society, The British Lymphology Society, Accelerate CIC, The College of Podiatry, The Society of Vascular Nurses, The Lindsay Leg Club Foundation, Foot in Diabetes UK and The Leg Ulcer Forum. The organisations have come together to make sure that anyone with a lower leg or foot problem understands their condition and gets the urgent care, attention and support they need. The campaign is asking the public to stand up for their own leg and foot health by paying attention to their legs and feet, going to their pharmacist or GP if things aren’t looking right and demanding better or different care if your leg or foot isn’t getting better. The campaign is also calling on healthcare professionals to recognise the signs and symptoms of lower leg and foot problems, talk to their patients about their lower leg and foot health and lobby for better services for patients. 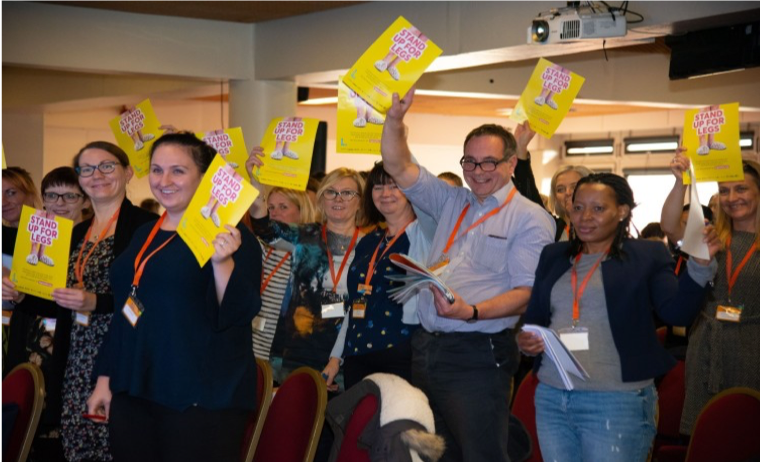 The Legs Matter collation will also be working with NHS decision-makers to increase awareness of how much inadequate leg and foot care costs the system, and to focus on shaping a system that makes legs and feet a higher priority. National Institute for Health Research (NIHR) study conducted by Professor Julian Guest ii Briggs, M. & Flemming, K. 2007. Living with leg ulceration: a synthesis of qualitative research. Journal of Advanced Nursing, 319-328.